Thank you for bringing to our attention your concerns with regard to our recently elected Trustee and long term volunteer Mr Richard Turner and a new volunteer with Action on Hearing Loss, Eloise Garland. I have investigated your complaint in depth in accordance with our complaints policy and I have examined the relevant documents supplied and these have been discussed and reviewed with Richard and Eloise as part of my investigation. 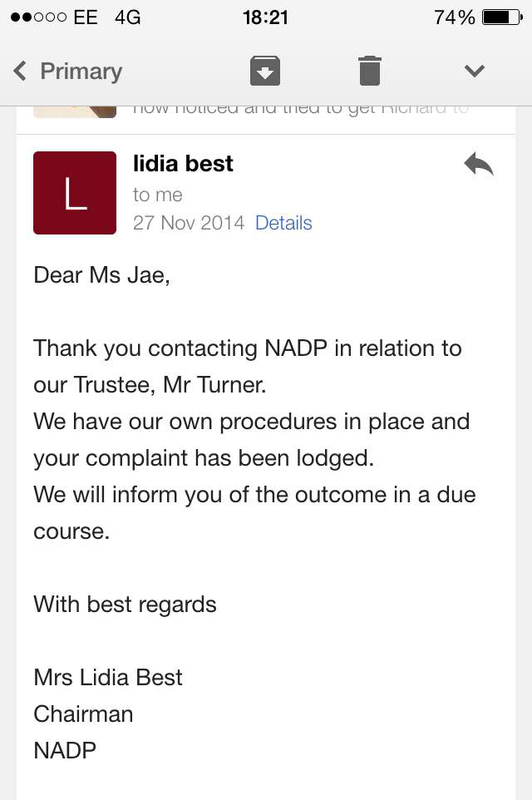 The actions of Richard and Eloise as volunteers of Action on Hearing Loss including that of Trustee in Richard’s case. Whether or not it is appropriate for Action on Hearing Loss to comment on discussions within a social media context over which we have no authority and where people comment within a personal capacity. Before advising of the outcome of my investigation it is appropriate to provide information regarding our Trustee Board. Our Trustee Board comprises nominated and elected Trustees. An elected Trustee is a person who puts forward their name, is then nominated by a member and is then subject to election by our membership. The election is overseen by the Electoral Reform Service and the person with a majority of votes is duly elected to the vacant position. Provided the person meets standards outlined by the Charity Commission and Companies House they are appointed. Action on Hearing Loss and the Board of Trustees have no right of veto over an elected Trustee. One of our strengths as a charity is having a mix of nominated professionals and elected supporters as Trustees. Richard is one of our newly elected Trustees. As a national charity with over 1400 volunteers, on this occasion we do not consider it appropriate to comment on whether inappropriate behaviour has taken place on an independent forum. For example people do sometimes use social networking sites and forums and other forms of social media to air their grievances which appears to have been the case on both sides in these instances. People also see social media as a channel for free speech and there can be confusion over what is acceptable behaviour in the use of social media. Both parties have had disagreements about things relating to the Tree House site and related activities and have aired these disagreements publicly on this site and forum which has caused further disagreement and distress between parties. I know from your correspondence with me that you have been upset and distressed and I very much appreciate you having raised your concerns with us and will take the actions identified above to safeguard against a repetition of this nature. We are also pleased to note that you will continue to support the Charity and the work of Action on Hearing Loss. Finally I would like to reassure you that we will continue to deal with complaints with the utmost seriousness and investigate fully in accordance with our policies. < Previous Sign Language in Cinema. Next > It’s Nice, To Be Nice.